Cleaning Roster Templates have become quite common nowadays that you won’t find a household without one. A compromising lifestyle has resulted in an unplanned living in this fast moving world. Even the basic daily chores are left out in one’s tight schedule. 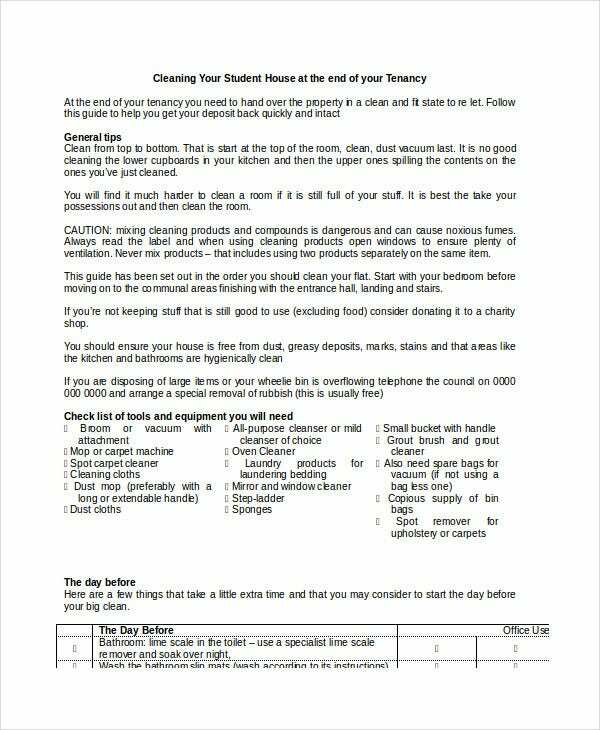 Get these cleaning roster templates that teach you the art of housekeeping. Following these routines, you no longer need to bother about keeping your messy house clean and tidy. Also use these simple-to-follow templates for preparing your own to-do list for each day of the week. There are also speed routines if you are in a hurry or if you are like me and have very little time for all these. You can also see Duty Roster Templates. These templates would come in handy as you won’t find time in the wee hours of a business day. 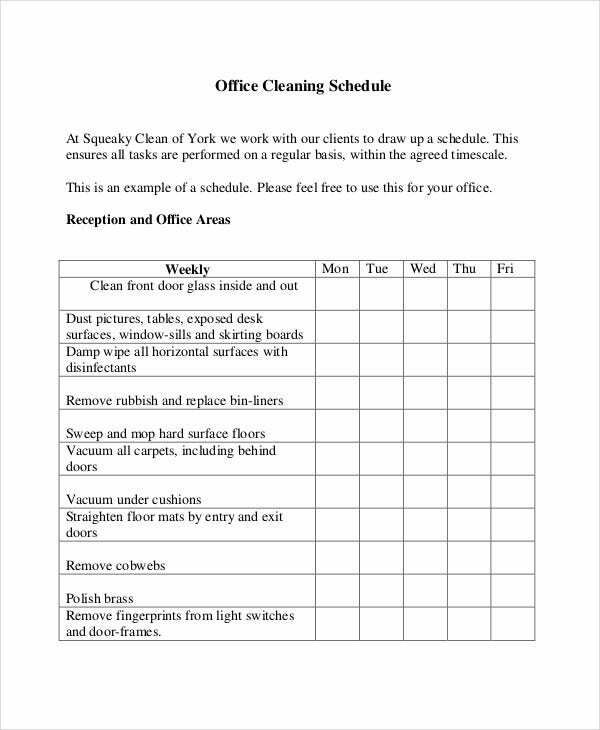 Get these templates and schedule your cleaning roster according to your office requirements. You could opt for daily, weekly, monthly and seasonal cleaning schedules. Also, choose from a wide variety of to-do-lists that suits you or get customization as you require. 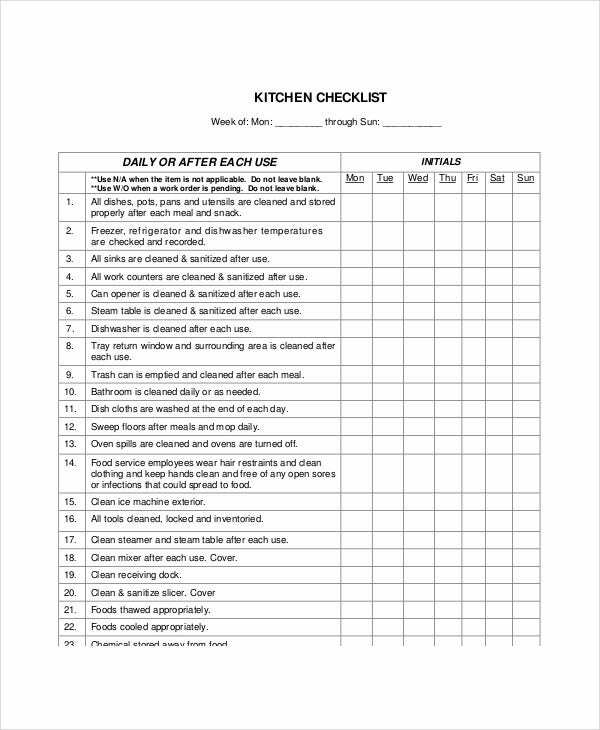 A kitchen cleaning roster is undoubtedly an essential tool for a kitchen-keeper. At times, you may have heard of the daylong blabbering between housekeepers and kitchen workers about the tedious task of cleaning the whole messed up kitchen area which should at all costs be kept clean and hygienic. These areas should be kept clean daily and this could be done better using this kitchen cleaning rosters. Kitchen rosters focus on the different cleaning tasks including kitchen utensils cleaning. You could even assign cleaning duties to different persons. Choose from a wide variety of templates that suits your kitchen needs perfectly. 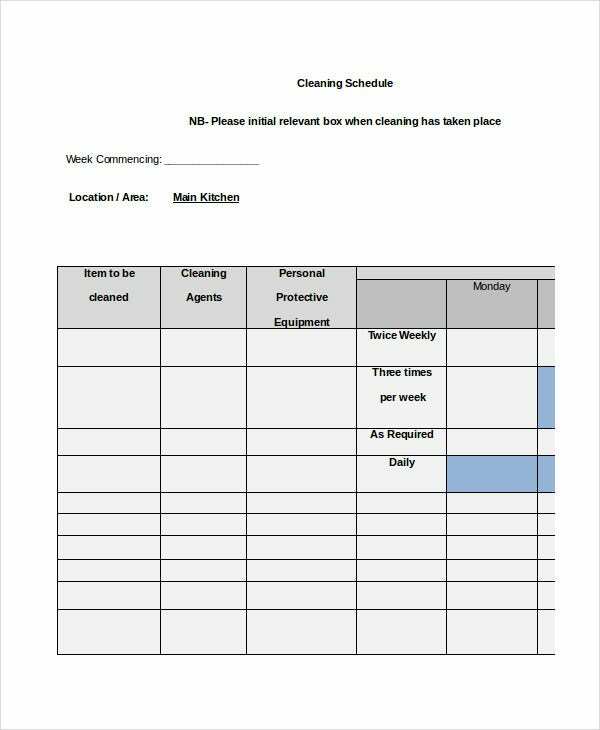 This template would assist you in assigning cleaning duties to different persons at different timings. 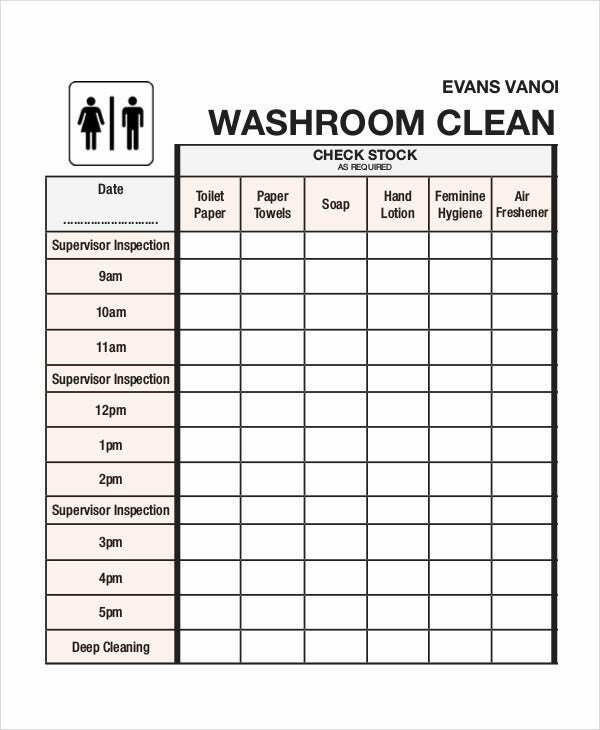 This template is much more useful in commercial areas where you could give the tasks to the staff. Different equipment and kitchen areas are allotted to different staff members in different days. When cleaning is done this way, the team work counts and you get the job done efficiently. Get these templates and the duty assigning is made simpler. A weekly roster sets your cleaning routine on a weekly basis. This one is recommended for those of you who would like different tasks done on different days of the week. So, this template is going to help you break up your chores into tidbits of work spread over the week and split the work into easily manageable lots. Use these templates to customize the routines specific to the weekday. Hang this template on your shelf wall and make your housekeeping simple and burden-less. This roster template would guide you in your cleaning process throughout the day, week or month. Speed routines shall also be inculcated into your schedule and cleaning could be made much easier than you have ever imagined. > How to Make a Cleaning Roster? Making a cleaning roster is way too easier than people think. All you have to do as the first step is prepare your task list. Include all the tasks that you have to complete in the cleaning process. A person staying in a 3bhk flat would have quite a different task list from the one staying in a single room apartment. Hence assessing your home and home needs would be essential. 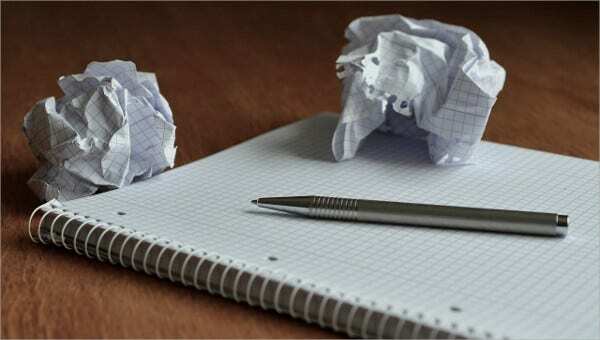 After you have fixed the tasks list then comes the second step, choosing a plan that suits you perfectly. Here you have to prioritize your needs and categorize your work according to the amount of time available to you. You can also see Training Roster Templates. Another important point here is to knowing your needs. Are you a person ready for repeated daily cleaning or someone looking for a weekly solution? There are a lot of alternatives you could look into. Speed routines, Specific task for specific day, seasoned tasks and so on. Make sure all of these are crafted perfectly into your day to day living. The third step is simply filling up your desired plan into card or template design that could even be a wall hanging. And you have your cleaning roster template ready for use. A cleaning roster is mainly prepared for organizing the different cleaning tasks for different days. In order to make this tedious task less cumbersome and easily manageable as well as time saving, a roster template is prepared from which you could get various to-do-lists to choose from. These reminders are categorized for your daily, weekly or monthly plan for cleaning. Apart from these, there are different routines adapted for those having very less time for cleaning and the like. You could even use a roster for assigning cleaning duties to staff or others for specific days of a week or month. This would assist in planning well for cleaning tasks, when to do it and how often. Cleaning is made interesting and easily manageable. That’s the first and main benefit of preparing such templates in this hectic and chaotic busy life. The roster templates are adapted to your needs and are flexible to your time schedules. Also you no longer need to worry about managing the Herculean task of cleaning once you get hold of these easy to-do-lists and reminders. You can also see Attendance Roster Templates. These rosters also help you in assigning the tidbits of the cleaning work to different staff members. This teamwork leads to efficient task management. You could save much of your time in the process. Also you may not want to miss out anything. In these busy days where you have time for nothing, cleaning could be quite a neglected activity in most of the households and commercial areas or a least bothered activity that might get ignored leading to a messed up life. 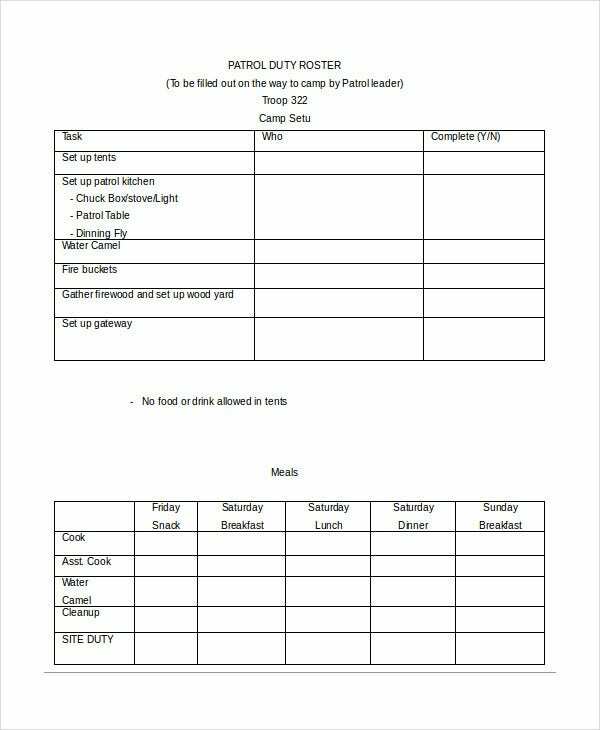 If you are one of those looking for making task simpler and organized or want to get rid of the routine hectic cleaning work, then use these cleaning templates and duty rosters that suits your lifestyle and daily needs in the best way ever.